Home » Gaming Moments » EGX 2018 – What To Expect ? 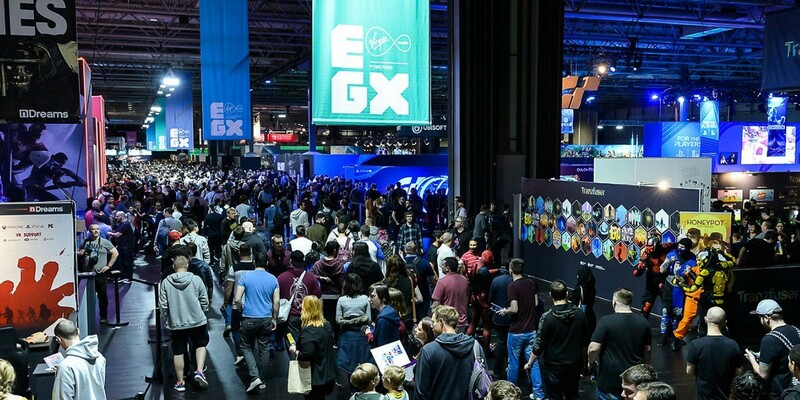 EGX, UK’s biggest video game event, is about to kick off this Thursday, September 20th. Birmingham is about to be filled with PC and console developers alike, ready to give you a chance to play the biggest upcoming games months before they release. What makes EGX unique in the world of video game conferences, is how hands-on it is. EGX is a conference about developers connecting with gamers without a middleman between them. How is that accomplished? By actually playing the games! In addition to the popular Marvel’s Spider-Man which is out right now (with the DLC on sale in our webstore), Playstation will be bringing two other games to EGX that you may have heard of: FIFA 19 and Call of Duty: Black Ops 4 — two of the hottest titles in the world that aren’t even out yet. This legendary game developer will be inviting you to play two games that we currently have on sale: the possible Game of the Year winner Shadow of the Tomb Raider, and Dragon Quest XI, the critically acclaimed RPG. And, playable for the first time in the UK, is Life Is Strange 2. This episode-based graphic adventure has had extremely limited trailer and gameplay releases, so the chance to actually get your hands LIS2 is really special! The Ubisoft booth at this year’s EGX will be very popular, as the well known developer will be bringing a co-op demo of The Division 2, along with a single player Assassin’s Creed Odyssey demo! In the latter, you’ll get a chance to try out each of the two new protagonists (Alexios and Kassandra), and both games will be playable on an Xbox One X.
Metro Exodus, the post apocalyptic FPS that had us wishing we could pre-order it twice (just from the trailer), will be playable at EGX 2018. This third title in the series promises to have the largest and most open world yet! You can be one of the first people in the UK to try out Geralt (The Witcher) in Soul Calibur VI at the Bandai Namco booth. And you don’t want to miss out on the lesser known but equally awesome looking Ace Combat 7: Skies Unknown, a jet fighter combat simulator. The game actually does have a title, and that’s it. The goose is loose! In this game you’re a goose, and the goal it to cause as much trouble as you can for the human beings around you. You can expect gameplay that’s just as cheeky as the title (or un-title) of this indie offering. Ready for some middle-of-a-city giant mech Godzilla style brawling? Well if so, make your way to The Balance Inc’s booth at EGX and give this game a shot. Four players go against each other at a time, fighting one another and “accidentally” destroying the skyscrapers around them in the process. Golf games (and the sport itself) can be a little boring at times. Enter “What The Golf?”: a game for people who like golf games that are a lot more absurd, hilarious, and surprising than the actual sport is. Besides all the games you can play, there will be presentations you can watch and influencers of the gaming world to talk with at EGX. Tournaments, a career fair, and after parties will help to fill up every second of your experience with gaming goodness. Think you want to go? You can get your tickets HERE; they’re pretty reasonably priced– £20.00 for a day pass– so as a result they’re selling fast! Not able to make it? You can look forward to lots of new content making its way to YouTube as the conference progresses. And as for the unique collectibles available only at EGX… You might be able to find them on eBay in a week or so…? Let us know in the comments if you’re headed to EGX this Thursday! And tell us on one of our social media accounts which game you’re most excited to play (Facebook, Twitter, Instagram).